AUSTIN, Texas (March 31, 2009) The No. 9 Texas Longhorns scored the game-winning run on a balk in the bottom of the ninth inning to beat Oral Roberts 5-4 at UFCU Disch-Falk Field on Tuesday evening. With two outs and the scored tied 4-4 in the bottom of the ninth, Brandon Loy drew a walk and stole second base. The Golden Eagles were attempting to intentionally walk Michael Torres when the ball-three pitch sailed wild and allowed Loy to move to third. Oral Roberts continued the walk of Torres to put runners at the corners. Pinch-hitter David Hernandez stepped to the play and before seeing a pitch ORU's Jameson Dunn stepped off and faked to first, inciting the balk call from first base umpire Tim Henderson for the game-winning run. The two teams battled to a scoreless tie through six innings before the Longhorns broke the scoring seal in the bottom of the seventh. Tant Shepherd hit a lead-off single and moved to second on a sacrifice bunt by Preston Clark. Tim Maitland pinch-ran for Shepherd and Kevin Keyes and Kyle Lusson followed with walks to load the bases. Travis Tucker singled through the left side of the infield to plate Maitland and Loy was hit by a pitch to drive in Connor Rowe who was pinch-running for Keyes. Torres inflated the cushion to 3-0 with a sacrifice fly and the Horns completed the scoring when Tucker scored on a wild pitch. The Longhorns appeared headed to their sixth shutout of the season with closer Austin Wood on the mound before hitting a rough patch in the top of the ninth. Robert Barbosa drew a leadoff walk and Colby Price singled to rightfield to spark the Oral Roberts rally. Danny Duffy hit a possible double-play grounder but the ball's path was interrupted by Wood and resulted in an infield single. Tyler Garewal hit a sacrifice fly to leftfield to cut the lead to 4-1 and Juan Martinez followed with a double to the gap in left centerfield to plate Price. The Golden Eagles cut the lead to one run with a sacrifice fly by Seth Furmanek and ORU tied the game with a single through the left side by Michael Notaro. Despite the four runs in the top of the ninth, the pitching was the bright spot of the evening for the Longhorns who recorded 12 strikeouts. Taylor Jungmann weaved 2.0 innings of scoreless ball as the starter. He allowed one hit and two walks, but fanned five Golden Eagles. Andrew McKirahan added 2.0 shutout innings, yielding two hits and one walk while striking out three. Stayton Thomas and Keith Shinaberry worked a scoreless fifth inning before handing the ball to Kendal Carrillo in his first-ever appearance as a Longhorn. Carrillo worked 2.0 shutout innings, scattering two hits while striking out three. The win was credited to Wood (4-0) who worked a scoreless eighth inning before the wheels fell off the wagon in the ninth. Dunn (1-3) was saddled with the loss for Oral Roberts, allowing one run on two walks and two strikeouts over 1.2 innings. Mark Serrano put in a solid effort as the starter, with 5.0 innings of shutout baseball, scattering two hits and one walk while striking out six. Spencer Roberts withstood most of the damage for the Golden Eagles, allowing four runs on three hits and two walks over 1.1 innings. Tucker paced the Texas offense, going 3-for-5 with one run and one RBI. Martinez, Barbosa and Price each had two hits for the Golden Eagles. Texas returns to action on Friday with a 6:30 p.m. game at Oklahoma State. The game kicks off a three-game Big 12 series in Stillwater with Saturday's game slated for 2 p.m. and Sunday's contest scheduled for 1 p.m.
HOUSTON, TEXAS (March 30, 2009) The University of Houston softball team will travel to Huntsville, Texas Wednesday to compete in a doubleheader that was originally scheduled for Tuesday, but was moved due to rain in the forecast. The doubleheader begins at 4 p.m. at Bearkat Softball Complex on Wednesday. The Cougars enter the doubleheader 13-16 after losing to Missouri twice last week. Houston lost the first game, 9-1 and the second, 4-2. Senior Elaina Nordstrom continues to top the Cougars in batting average with .368. She is also tied with senior Laurie Wagner for the team lead in RBI with 23. Senior Katie Bush is batting .302 with 26 hits and one double this season. Senior Jessica Valis leads with the most hits this season at 30, while freshman Melissa Gregson has belted a team-best six home runs. Sophomore Baillie Lott is leading in the circle with an ERA of 3.21 and a 6-6 record. Sophomore Amanda Crabtree has 106 strikeouts, and holds the third spot for striking out the most batters looking in the Conference USA. The Bearkats (14-15) enter the games after going 2-1 against conference rival Texas A&M-Corpus Christi last weekend. Hailey Wiginton leads Sam Houston with her 31 hits, batting average of .326, and 20 runs scored. Mandy Gegen is the team-leader in RBI (12) and home runs (four), while Sarah Parich is the leader in doubles with seven. Alex Survant has the second-highest batting average at .304 and 21 hits this season, two of which are doubles and two others home runs. In the circle, the Bearkats look to Morgan Mikulin and Brandi Crnkovic. Mikulin has a record of 6-5 and an ERA of 1.79, while Crnkovic has a record of 6-7 and an ERA of 2.39. Crnkovic leads the team in strikeouts with 51. Fans can watch live stats by clicking the Gametracker link on the softball page of UHCougars.com. Check UHCougars.com for complete recap following Wednesday's games. Following Wednesday's doubleheader, Houston will host UAB in a three-game conference series Saturday at 1 p.m. and 3 p.m. and conclude play on Sunday at 1 p.m.
HOUSTON, TEXAS (March 29, 2009) The 2009 Houston International Festival, honoring Ireland, is proud to announce the music lineup showcasing a host of top artists from around the globe. The 38th annual Festival returns to downtown Houston April 18-19 and 25-26, 2009, featuring continuous music, dance and cultural performances on 12 stages. Headlining the Bud Light World Music Stage in Lower Sam Houston Park are funk legends the Ohio Players, April 18; soul/gospel queen Mavis Staples, April 19; South African jazz trumpeter Hugh Masekela, April 25; and Chicano roots-rockers Los Lobos, hosting the festival’s “Celtic/Conjunto” finale, April 26. International acts include Nigeria’s Seun Kuti & Egypt 80, Puerto Rico’s Plena Libre, Jamaica’s Rootz Underground and the Wailing Souls, Guinea’s Alpha YaYa Diallo and Quebec’s Chic Gamine, joined by Louisiana’s homegrown R&B/soul crooner Marc Broussard. Each year, iFest’s World Stage puts the best of world music next to the finest American roots music to demonstrate how music can communicate across cultural and linguistic barriers. This year’s lineup is one of our greatest yet. After a five-year absence, the Texas Stage returns to the Library Plaza in 2009, thanks to a generous grant from the Houston Endowment. The programming on this stage recreates the 2008 Smithsonian Folklife Festival’s salute to Texas music, with headliners Marcia Ball, April 18; CJ Chenier, April 19; Little Joe y la Familia, April 25; and Los Tres Reyes de Accordiones with Flaco Jimenez, Joel Guzman and Jaime deAnda, April 26. The carefully curated lineup represents the state’s unique country, blues, gospel, Hispanic and Cajun heritage, including El Paso’s fabulous Mariachi Los Arrieros, Big Spring’s legendary Jody Nix and the Texas Cowboys, Bay City’s spirit-raising Jones Family Singers, Austin singer-songwriter Terri Hendrix, San Antonio’s conjunto accordion kings Los Texmaniacs and Houston’s own ageless blues guitar hero, Texas Johnny Brown. The Houston International Festival is proud to bring the Smithsonian’s hugely successful musical tribute in Washington D.C. back to the Lone Star State. For more information on the 2009 Houston International Festival, call 713-654-8808 or access the Festival’s official website at www.ifest.org. NEW ORLEANS, LOUISIANA (March 27, 2009) The University of Houston baseball team loaded the bases, with no outs in the ninth inning, trailing 6-1, but was only able to convert one run as they lost the series opener to Tulane, 6-2, on Friday night at Turchin Stadium. Rain hampered much of the game, twice halting play for several minutes. However, with no outs in the ninth inning, Houston loaded the bases, looking to chip away at the deficit in their final at bat. Chase Dempsay singled to short stop, Caleb Ramsey doubled down the left field line and William Kankel walked to put runners on all bases. Ty Stuckey struck out but Taylor White plated Dempsay with a walk. Unfortunately, that would be all the run support that the Cougars would be able to put together as the final two batters struck out and Houston would go home with the loss. Houston scored their first run of the night in the first winning. After Blake Kelso flied out to left field to start the game, Zak Presley hit a double to right field and scored on a single from Chase Dempsay through the left side to give Houston the 1-0 lead in the first inning. The Green Wave responded in the bottom of the inning scoring two runs to take a 2-1 lead. In the third inning, Josh Prince of Tulane walked in his second at bat and after scoring both runners in the first on a double, Seth Henry scored both runners with a home run to left field in the third, extending their lead to 4-1. They would add a lone run in the fifth to take a 5-1 lead over the Cougars. Houston recorded at least one hit in every inning except for the seventh on their way to a 10 hit game. It marks the second consecutive game the Cougars have registered a double-digit hit game. They are 3-7 in those games. Houston will continue the series against Tulane tomorrow at 2 p.m. and it will conclude on Sunday at 1 p.m. Following this weekend's games, Houston will play a mid-week game at Texas-San Antonio on April 1 before a weekend series against Texas-Pan American on April 3-5. HOUSTON, TEXAS (March 26, 2009) The University of Houston softball team dropped game two against No. 13 Missouri, 4-2 at Cougar Softball Stadium to fall to 13-16 overall, after notching the first hit of the game in the seventh inning for a come-back that fell short. Junior Lindsey Olson made her first start this season, and recorded a strikeout against the first batter of the game for her first this season. After three scoreless innings, the Tigers scored the first run of the game on a fielding error committed by leftfielder Katy Beth Sherman in the top of the fourth inning. On two outs, Megan Christopher hit a three-run homer over centerfield to take a 4-0 advantage of the Cougars. Sophomore Amanda Crabtree came in and struck out the final batter of the inning to move to the bottom of the fourth inning. Sophomore Baillie Lott came in to pitch for Amanda Crabtree to eliminate the final two batters in the bottom of the fifth inning. Senior Elaina Nordstrom produced the Cougars' first hit with a double in the bottom of the seventh inning to nix the no-hitter. Senior Haley Valis walked to give Houston two base runners, and Lott would come up and hit her first double this season to score Nordstom and Haley Valis for the two-out rally and cut the deficit to two. Sophomore Casey Willow struck out for the final out of the game for the 4-2 loss. Olson is 0-1 after striking out four, and allowing four runs on four hits. Crabtree struck out three and allowed one hit, while Lott struck out two and allowed no runs or hits. The Cougars will play Sam Houston Tuesday, March 31 in Huntsville, Texas for a doubleheader beginning at 4 p.m.
DENTON, TEXAS (The University of North Texas has announced its 2009 football schedule, which includes six home games for the first time since 1993. Four of North Texas’ 12 opponents in 2009 played in bowl games last season and in addition to the eight-game Sun Belt Conference slate, the schedule features a late-season home game against Army. The Mean Green will play three of its first five games at home in 2009, which is also the first time that has happened since 1993. The first two games of the season will feature matchups with Mid-American Conference teams. North Texas travels to Ball State to open the season on Thursday, Sept. 3 before returning to Denton for the home-opener against Ohio on Sept. 12. Ball State was ranked as high as No. 12 in the nation last year after starting the season 12-0 and playing in the MAC championship game and the GMAC Bowl. Ohio finished the 2008 season with a 4-8 record but won its final two games of the year. HOUSTON, TXEAS (March 24, 2009) The University of Houston baseball team defeated Louisiana Lafayette, 6-4, Tuesday night at Cougar Field. Houston has now won four of their last six games and improved to 7-16 on the season. They move to 36-11-1 all-time against the Ragin' Cajuns after splitting both games this season. The Ragin' Cajuns jumped on the board first in the second inning off a two-run home run from Chad Keefer, but Houston responded in the bottom of the inning scoring a run to cut the lead in half. In just his second start this season at first base, Ty Stuckey led off in the second inning with a double to left center and would score on a sacrifice fly from Blake Kelso. Houston took a 3-2 lead in the third inning and they would hold on to that lead the rest of the way. In the third, Houston led off with a double for the second straight inning. This time Chase Dempsay reached base. Caleb Ramsey followed that up with a single to left field scoring Dempsay. Taylor White put two runners on base with a single to left field and Stuckey scored Ramsey on a sacrifice fly to right field. With one out, Kelso doubled down the left field line in the fourth inning and would score on the next at bat when Zak Presley doubled down the right field line. Holding a 4-2 lead entering the fifth inning, Houston added two insurance runs when David Murphy doubled to left field, scoring Stuckey and White. Those two runs would turn out to be very important as the Louisiana scored two runs in the eighth to cut the deficit to two, 6-4. In their final at bat, Houston would hold off the Ragin' Cajuns and go home with the win. On the night, the Cougars connected on five doubles, pushing their hit total to 11. They have now recorded double-digit hits games nine times this season. Houston will travel to New Orleans for a three-game series against Tulane on March 27-29. Friday's game is scheduled for a 6 p.m. start. The series will continue at 2 p.m. on Saturday and conclude a 1 p.m. on Sunday. SAN ANTONIO, TEXAS(March 23, 2009) The Rock 'n' Roll San Antonio Marathon & ½ Marathon, set for Sunday, November 15, is announcing some exciting changes for the second showing of the event that will take place in south Texas this fall. Responding the participant requests, race organizers are providing all participants with a technical t-shirt, courtesy of Sugoi. Additionally, race officials are looking at ways to enhance the post race experience by expanding the finish line fiesta and creating a more festive environment inside the Alamodome with live music and vendors on the afternoon of the race. Runners are encouraged to register by the end of March to take advantage of the early entry fee and guarantee their spot at the start line. Current registration prices are $90 for the marathon and $75 for the half marathon. On April 1, fees will increase to $105 and $90, respectively. Many training resources are available for Rock ‘n’ Roll San Antonio participants, and vary from a free online training program, provided by the New Balance ActiveTrainer, to a national charity training program like Team In Training, to a variety of local and regional training groups hosted by specialty running stores. For more information about the Rock ‘n’ Roll San Antonio or to register, please visit www.rnrsa.com or call (800) 311-1255. The second annual Rock ‘n’ Roll San Antonio Marathon and ½ Marathon is set to run on Sunday, November 15, 2009. Open to runners and walkers from novice to professional, live bands will entertain participants along the scenic course that winds through San Antonio’s most historic neighborhoods. Adding to the excitement, local high school cheerleaders will be on the sidelines motivating athletes all the way to the finish line. Festivities begin with a two-day Health & Fitness Expo at the Alamodome on Fri., Nov. 13 and Sat., Nov. 14. The Expo is open to the public and will feature the latest in endurance sports gear and nutrition products. In addition to the Rock ‘n’ Roll San Antonio Marathon & ½ Marathon, the Competitor Group manages a total of eleven marathons and half marathons including the original Rock ‘n’ Roll Marathon in San Diego, the Country Music Marathon and ½ Marathon in Nashville, Tenn., the P.F. Chang’s Rock ‘n’ Roll Arizona Marathon & ½ Marathon, Rock ‘n’ Roll Seattle Marathon & ½ Marathon, the Rock ‘n’ Roll Half Marathons in Virginia Beach and San Jose, Calif., as well as the ING Philadelphia Distance Run and Denver Marathon. Each event features live music and cheerleaders along every mile on the course and attracts between 13,000 and 35,000 participants. HOUSTON, TEXAS (March 22, 2009) The University of Houston baseball team lost the series finale to UAB 10-2 on Sunday afternoon at Cougar Field. With the loss, Houston falls to 6-16 on the season and 2-1 in the series against the Blazers. By finishing 2-1 against the Blazers, Houston, however, has won six of its last seven conference opening series. The Cougars matched runs with the Blazers in the first inning. After UAB opened the game scoring a run by Brint Hardy off a Cody McMurry single, Blake Kelso led off in the bottom of the inning with a double to left center. He advanced to third on a ground out to second base by Chase Dempsay and scored on a Caleb Ramsey single to left field. Both teams would hold the other scoreless for the next two innings, before Houston gave up five runs to the Blazers in the fourth inning to give the visitors a 6-1 lead. The two teams would match runs again in the sixth inning. Digger Towe scored Nick Crawford on a single through the left side and Houston matched that by scoring William Kankel on a sacrifice fly to center field by Taylor White. Trailing 6-2 entering the ninth inning, Houston need to hold the Blazers scoreless to have a chance in the bottom of the inning but the Blazers posted three runs to take a 10-2 lead. It would be too much for the Cougar to overcome and they wouldn't be able to pull out the win. The Cougars will play a mid-week game against Louisiana Lafayette at 6:30 p.m. on March 24 before traveling to Tulane for a weekend series on March 27-29. NEW YORK, NEW YORK (March, 21 2009) The 2009 CONCACAF Gold Cup™ will be played in a record 13 different U.S. cities, opening at The Home Depot Center in Los Angeles on Friday, 3 July and concluding with the championship match Sunday, 26 July at Giants Stadium outside New York. Houston will play host to the Gold Cup once again and will look to continue a strong history of large, enthusiastic crowds. Reliant Stadium sold out first-round and quarterfinal double headers in 2007, and boasted the largest attendance figures in the tournament. In 2005, over 105,000 fans turned out for two days of matches at Reliant Stadium, making Houston the top market for the tournament. Houston’s attendance was 40% higher than any other venue for the tournament that year. Reliant Stadium has hosted the five largest soccer crowds in Texas history, including 70,103 for last year’s USA vs. Mexico match. The 13 cities are more than twice than the number previously used for the continental championship and shy of only the 1982 FIFA World Cup™ in Spain and the 2002 FIFA World Cup™, which used 10 venues each in Japan and Korea Republic. The 1994 FIFA World Cup™ in the USA was played in nine different venues. “By expanding the Gold Cup to 13 venues, it will give fans more opportunity to experience the championship in person,” said CONCACAF President Jack Warner. The Gold Cup will make its first appearance in four cities: Columbus, Ohio; Phoenix; Philadelphia and Washington. A Gold Cup quarterfinal will be the first sporting event to be played at the Dallas Cowboys New Stadium. Each venue will host one doubleheader except for the final at Giants Stadium, with the quarterfinals set for Lincoln Financial Field in Philadelphia (Saturday, 18 July) and Dallas (Sunday, 19 July), and the semifinals at Soldier Field in Chicago (Thursday, 23 July). Besides Columbus Crew Stadium in Columbus (7 July), RFK Stadium in Washington (8 July) and the University of Phoenix Stadium in Glendale, Arizona (12 July), other first-round venues include: Qwest Field in Seattle (4 July), Oakland-Alameda County Coliseum in Oakland, California (5 July), Reliant Stadium in Houston (9 July), FIU Stadium in Miami (10 July), and Gillette Stadium in the Boston suburb of Foxborough, Massachusetts (11 July). The tournament will use the same format as in 2005 and 2007, with the 12-team field divided into three, four-team groups. The top two teams from each group will advance to the quarterfinals along with the two best third-place teams. The three first-round groups for the qualifiers: Canada, Mexico and the USA from the North Zone; Panama, Costa Rica, Honduras, El Salvador and Nicaragua from Central America; and Jamaica, Grenada, Guadeloupe and Haiti from the Caribbean, and schedule will be announced at a later time. The Gold Cup was played in six different cities in its two most recent editions, including two stadia in Los Angeles in 2005 (the Los Angeles Memorial Coliseum and The Home Depot Center). This will be the second time Giants Stadium has staged the final and first since 2005. Miami will see the Gold Cup for the seventh straight time, although it will be the first time at FIU Stadium, while the Los Angeles area will stage matches for the eighth time in 10 tournaments. Games will be played on modern synthetic surfaces in four stadiums: Qwest Field, FIU Stadium, Gillette Stadium and the New Dallas Cowboys Stadium. Grass will be laid over the existing surface for the final in Giants Stadium. Groups and a full schedule as well as ticket information will be available in the coming weeks. IRVING, TEXAS (April 20, 2009) Rice University junior Christopher Brown was named the Conference USA Male Golfer of the Week on Wednesday following his performance at the Border Olympics, played last week in Laredo. Brown was the top C-USA finisher at the event, finishing in a five-way tie for 15th while recording a three-round, six-over par 222. Brown opened play with back-to-back 75s before carding an even-par 72 during the final round to help lead the Owls to a 10th-place finish in the 16-team field. Last month the Garland native placed second at the Rice Intercollegiate. In addition to the runner-up finish, he has two Top 15 performances during the 2008-09 season. Brown is currently averaging 74.43 strokes per round. Rice has now had players of the week on successive weeks. Last week, sophomore Michael Whitehead was named co-player of the week after finishing in a tie for sixth at the 24th Annual Border Olympics earlier this month. The Owls return to action March 30-31 when they travel to the Morris Williams Invitational which will be played at the University of Texas Golf Club in Austin. DEER PARK, TEXAS (March 19, 2009) The second round of games in the 2009 National Invitational Tournament (NIT) begins today (March 19) and concludes on March 23. DEER PARK, TEXAS (March 19, 2009) The first round of 16 games in the 2009 National Invitational Tournament have been completed. There were a few upsets and my predictions were on the mark to the tune of 68.75%. I correctly predicted 11 of 16. I do hope to improve ON that prediction rate. My second round predictions will be published shortly. DEER PARK, TEXAS (March 19, 2009) The first round results of the 2009 College Basketball Invitational are in and I correctly predicted six of the eight games correctly. The results are below. My first round predictions were 6 of 8 for 75%. All four second round games will be played March 23, 2009. I will post the results as soon as the games are over. HOUSTON, TEXAS (March 18, 2009) The University of Houston swimming and diving team will compete at the NCAA Swimming and Diving Championships this weekend on the campus of Texas A&M University in College Station, Texas. Three Cougars are scheduled to compete at the meet and it marks the ninth consecutive year that at least one swimmer or diver has qualified to compete at the championships. Making her first appearance at the Championships and becoming the first swimmer to qualify since 1989 is Sacha Schwendenwein. She will compete in three events beginning on Thursday with the 500-yard freestyle. She ranks 32nd in the event entering the meet. She will continue on Friday in the 200-yard freestyle, where she ranked 22nd and will conclude the meet on Saturday swimming the 200-yard butterfly, with a ranking of 25th. Divers Anastasia Pozdniakova and Courtney Forcucci will join Schwendenwein at the championships, competing in all three diving events. The meet will open on Thursday with the 1-meter competition, continue on Friday with the 3-meter competition and close on Sunday with the platform event. The duo qualified for the meet after competing at the NCAA Zone D Diving Championships last weekend in Missouri. Pozdniakova won both the 1-meter and 3-meter events and finished second in the platform event. Forcucci added a ninth place finish in the 3-meter event and was fifth in both the 1-meter and platform events. For a complete recap of each day's events and results at the NCAA Championships log onto www.UHCougars.com. Fans can also follow live results at http://www.aggieathletics.com/ncaawsimstats.html. NEW YORK, NEW YORK (March 17, 2008) The WNIT kicks off postseason action Wednesday. March 18 with first-round games. All games are held on the campuses of participating schools. While 32 teams will play in the first round, 16 teams received a bye and will begin their tournament with a second-round game. The Postseason WNIT features 16 first-round games, followed by 16 second-round games, eight third-round games, four quarterfinal games, two semifinal games and the championship. The WNIT championship game will begin at 2 p.m. ET Saturday, April 4, and will be hosted by one of the two final participating schools. LAS VEGAS, TEXAS (March 16, 2009) When Edwin Fisher of Houston walked down Center Aisle at the 2009 United States Bowling Congress Open Championships on Sunday, he reached two milestones and solidified his place in tournament history. Fisher's slow and emotional march was the 50th of his career, and he became the 100th member of the tournament's elite 50-Year Club. "I had no idea I was the 100th person," said the 83-year-old right-hander, who has been bowling competitively for 69 years. "Once someone told me, I expressed my thanks for having the genes to be able to be here." Fisher's time on the lanes began when he was 13 years old and worked as a pin boy during junior high school. He continued to bowl throughout high school, his time in the Navy and then college, and he finally made his USBC Open Championships debut at the 1957 event in Fort Worth, Texas. That year also marked the debut of underground ball returns and automatic pinsetters at the tournament. Fisher was hooked. "It was a thrill of a lifetime," said Fisher, who has only missed three events since his debut. "Walking down that Center Aisle for the first time, I had chills down my spine. I've never experienced anything like that before." That same feeling carried over to Cashman Center on Sunday afternoon as Fisher marched into the record books. "This time, it was even more thrilling," said Fisher, who was on the USBC (formerly the American Bowling Congress) financial committee that approved the tournament's first electronic scoreboards. "I've been looking forward to this day. When I participated in my 20th Open, a guy received his 50-year award, and from that day, I told myself I wanted that. Now that I did it, I will treasure this forever." Fisher has been involved in many aspects of bowling besides competing on the lanes. He has served in various capacities as a local, state and national bowling delegate for more than 30 years, including a stint on the USBC (ABC) Board of Directors. Even with nearly seven decades of competition under his belt, Fisher has a few memories that stick out above the rest. "I always remember when I shot my best series, which was in Des Moines, Iowa," said Fisher, referring to the 686 series he shot team in 1962. "Another memory that sticks out is when we were in Long Beach, Calif. I bowled next to Joe Norris, and after that tournament, we became friends. And of course, this day will always stick out as one of the best memories I have." On the lanes this year, Fisher had 501 in doubles, 498 in team and 433 in singles for a 1,432 all-events total. During his tenure at the Open Championships, he has knocked down 72,204 pins for a 171.9 career average. Making it this far was a goal, but not the end of the road for him. "I love this tournament, and I will continue to come as long as I can," said Fisher, who is in the Houston, Texas State and Southern Bowling Congress Halls of Fame. "If I'm not able to come, I will still be active in bowling in any way I can. I'm thankful to have good genes and make it to 50 years. I'm also thankful to the USBC for recognizing me like this." PRINCETON, NEW JERSEY (March 16, 2009) The 16-team field for the 2009 College Basketball Invitational has been announced. The tournament will get underway with eight Opening Round games on Tuesday, March 17th and Wednesday, March 18th. TexSport Publications will on hand with the results from all the games. HOUSTON, TEXAS (March 16, 2009) The National Invitational Tournament (NIT) begins tomorrow. It is made up of 32 teams who did not make it to the NCAA tournament. The field for the 2009 National Invitation Tournament was announced Sunday night, on ESPNU. The announcement was made by CM Newton, chair of the NIT Selection Committee. The Committee has been meeting in Indianapolis over the weekend. The tournament goes to New York's Madison Square Garden for the semi-final doubleheader on March 31 with the championship game on April 2. I will be following the NIT games right along with my NCAA men's coverage. I will post all predictions and stores on this site, as I will not have a separate site for the NIT, unlike our coverage of the NCAAs. Below is my predictions of the first round action. I will post my predictions and views for the second round once all games are complete. MALIBU, CALIFORNIA (March 15, 2009) The No. 21 TCU women’s tennis team got back to it’s winning ways Saturday with a 5-2 victory over No. 48 Pepperdine at the Ralphs-Straus Tennis Center. The Horned Frogs advanced to 6-7 for the season. Macall Harkins and Anna Sydorska claimed the first win over the Pepperdine duo of Alexandria Walters and Anne-Christine Voicu, 8-6. After falling from the No. 2 court, the Purple and White tandem of Maria Babanova and Gaby Mastromarino clinched the point with a tiebreaker win over Andrea Oates and Tania Rice, 9-8 (5). In singles action, sophomore Idunn Hertzberg picked up her second-consecutive win, defeating Rice in straight sets, 6-1, 6-0, to give TCU a 2-0 advantage. However, Pepperdine would rebound to win matches from Nos. 1 and 2 to cinch the score at 2-2. Babanova secured the Frogs’ sixth win of the season with a big win from the bottom position against Daniella Thomasma, 5-7, 6-1, 6-1. Mastromarino ended the day by snapping a three-match losing streak with her 6-4, 6-7 (3), 6-4 victory over Oates from the No. 4 slot. TCU will now return to the Lone Star State to take on SMU in Dallas on March 18, before heading back to the west coast to open up Mountain West Conference action against San Diego State and UNLV, March 27-28. LAREDO, TEXAS (March 14, 2009) Rice junior Christopher Brown shot an even-par 72 to move into the Top 20 and the Owls also made strides during Saturday?s final round of the Border Olympics. After Friday?s two-round 603, Rice shot a 299 on Saturday and climbed into a tie for 10th with Vanderbilt. The Owls finished with a 54-hole score of 902. Brown carded a three-round score of 222 to tie for 15th. Rice sophomores Robert Burrow and Michael Whitehead shot 224 scores to tie for 26th. No team could make ground on second-round leader Baylor which won the team championship after firing a 298 on Saturday. The Bears shot a three-round score of 877 to finish seven strokes ahead of runner-up Arkansas (884). Lamar shot an 886 for the 54-hole tournament to place third. Texas-Arlington?s Bobby Massa shot an even-par 72 to finish with a five-under par 211 to capture individual medalist honors. Massa finished four strokes ahead of runner-up Jeff Gerlich of Texas State. Rice returns to action March 30-31 when the Owls travel to the Morris Williams Invitational which will be played at the University of Texas Golf Club in Austin. FORT WORTH, TEXAS (march 13, 2009) The 38th-ranked TCU men's tennis team plays host to its second straight opponent from the Atlantic Coast Conference Friday, when it faces No. 25 Virginia Tech at 2 p.m. at Bayard H. Friedman Tennis Center. season against teams currently included among the Intercollegiate Tennis Association’s (ITA) national team rankings. TCU brings a 5-8 record into the match, including a 3-1 mark during its last four contests, all of which have been played at home. The Frogs posted three straight victories over SMU, No. 63 San Diego and UT San Antonio to open the stretch before dropping a 4-3 decision to then-No. 38 Duke on Monday. Following Friday’s meeting with the Hokies, TCU will play its final home match of the season Tuesday, March 17, against Columbia, then take two weeks off before starting its Mountain West Conference schedule. Virginia Tech is coming off its biggest win of year last week over then-No. 16 Louisville. Junior Yoann Re, a two-time ACC Player of the Week this season and ranked No. 59 nationally, leads the Hokies with a perfect 10-0 dual match singles record. Re has two wins over top-10 players this season. Freshman Luke Somen has added depth to the lineup with his 8-2 singles record, and sophomore Sebastien Jacques has been solid posting a 6-1 dual match worksheet. Tech’s doubles duo of senior Nicolas Delgado de Robles and Somen is ranked No. 67 in the nation. TCU and Virginia Tech have met only once previously, on March 31, 2000, when the Frogs earned a 7-0 victory in Fort Worth. HOUSTON, TEXAS (March 12, 2009) – For the fourth consecutive year, the two-time MLS Cup champion Houston Dynamo will offer 500 aspiring soccer players a tryout as part of Dynamo Trials 2009. Like last year, the Dynamo Trials will consist of three dates, beginning with the fitness test, which will be held on April 25 and will be open to the first 500 registrants. Players will be tested at the professional level, and the top performers will be invited to the skills test, which will be held on May 16. Both the fitness and skills tests will be held at Plex in Stafford. The final phase of Dynamo Trials will be held on Saturday, May 30, when the finalists will showcase their skills against the Dynamo Academy. Participants in the match may be given the chance to train with the Houston Dynamo first team. “The Dynamo Trials provide a unique opportunity for players outside of the system to break through into the big time,” Dynamo Director of Youth Development James Clarkson said. Players must be at least 18 years old as of April 25, 2009, and only field players are eligible to try out. Registration costs $75, includes two tickets to the Dynamo’s May 9 game, and is currently being accepted at HoustonDynamo.com. All proceeds will benefit the Dynamo Academy, and registration will not be accepted on site. Representatives from famed Mexican team Club América are expected to attend. Last year, players registered from more than 30 countries for the tryouts. The final squad of participants lost 3-1 to the Dynamo Academy team. For more information regarding Dynamo Trials, please contact dynamotrials@houstondynamo.com. LAFAYETTE, LOUISIANA (March 11, 2009) Rice sophomore Michael Whitehead shot a one-over par 73 Tuesday en route to a tie for sixth individually with a three-round score of 213 (-3) at the 24th Annual Louisiana Classics played at Oakbourne Country Club. As a team, the Owls also finished in a tie for sixth. Rice was in third place after two rounds on Monday but shot a 298 team score Tuesday to finish with an 873. Led by Adam Cornelson's three-round 210, New Orleans won the team title with an 858, edging host Louisiana-Lafayette by one stroke. SMU placed third with an 863 while Southeastern Louisiana and Texas State carded 872s to tie for fourth. Cornelson won the individual title with a birdie on the fifth hole of a playoff with Southeastern Louisiana's Cedric Scotto. Rice sophomore Robert Burrow registered tied for 12th with an even par 216. Burrow moved into the Top 15 with a two-under par 70 on Tuesday. The Owls continue a two-tournament week, traveling to the Border Olympics in Laredo on Friday and Saturday. FORT WORTH, TEXAS (March 10, 2009) Despite winning the doubles point and claiming the top two singles slots, the TCU men’s tennis team dropped a heartbreaking thriller against No. 38 Duke, 4-3. The Horned Frogs fall to 5-8 for the year, snapping a three-match winning streak. TCU took its first lead of the match with a solid performance in double action. Jack Seider and Zach Nichols picked up a win from the No. 3 slot, dominating Duke’s duo of Torsten Wietoska and David Holland by the score of 8-2. Mbarek and senior Kriegler Brink knew they had to win in order for the Frogs to garner the doubles tally. The Purple and White pairing jumped out to an early 2-0 lead in the match, but followed by letting the next three games slip away. After battling to a 4-4 tie, the Blue Devils’ team of Kiril Dimitrov and Alain Michel took a 6-4 lead, pushing the Frogs into a tight corner. With the pressure mounting, Mbarek and Brink pushed though to take four of the final five games to give TCU a 1-0 advantage, winning the match, 9-7. After slipping in the No. 6 position to begin singles action, Brink gave the Frogs’ a 2-1 advantage after topping Dimitrov by the score of 6-4, 6-1. The straight-set victory marks the fourth straight for Brink, who is ranked 80th in singles by the ITA. Duke would rally back, taking a 3-2 lead after picking up wins from the Nos.. 4 and 5 positions. Sophomore Adrian Simon dropped his match, 6-3, 6-4, while Casey Powers stumbled in straight-sets, 7-6 (3), 6-3. The last two matches went into third sets. Nichols fell behind in is opening set (3-6) from the No. 3 slot, but bounced back in an impressive second frame, winning the tiebreaker, 7-6 (4). However, the Blue Devils’ Dylan Arnould was too tough in the end, garnering the third set, 6-4, and clinching the match for Duke. Mbarek ended the evening with his second-consecutive win from the top position, upsetting No. 25 Reid Carleton, 6-4, 6-7 (9), 6-0. The 93rd-ranked TCU freshman moves to 8-4 for the season. TCU will get a couple of days to recharge after playing three matches in the last four days, hosting Virginia Tech at 2 p.m. Friday at the Bayard H. Friedman Tennis Center. AUSTIN, TEXAS (March 9, 2009) The Austin Turfcats signed former Los Angeles Avenger Robert Quiroga over the weekend. The 6-foot-2-inch, 210 lbs. wide receiver and kick returner will play in the Turfcats’ inaugural season starting April 18. Following the 2004 NFL Draft, Quiroga signed with the Baltimore Ravens and participated in their training camp. 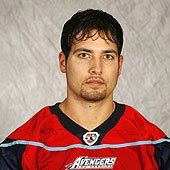 Quiroga, a two-way player who spends most of his time on defense at “jack” linebacker, spent the last three seasons with the Los Angeles Avengers of the Arena Football League. He saw most of his time on offense when the Avengers where inside the opponents 10 yard line. Ten of Quiroga’s first 17 catches in 2007 were for touchdowns. A three-year starter at wide receiver for Baylor University in Waco, Texas, Quiroga caught 131 passes for 1,478 yards and nine touchdowns in 46 games for the Bears. He also returned 31 kickoffs for 752 yards and two touchdowns. As a senior in 2003, he caught 42 passes for 490 yards and four touchdowns and was a first-team All-Big 12 Conference selection by both the “Waco Tribune-Herald” and the “Dallas Morning News.” Quiroga is one of only two players in Baylor history to record a 100-yard kickoff return. In 2003, he also became just the second player in Big 12 history to return two kickoffs for score in a single season. Quiroga attended Holmes High School in San Antonio, where he made first-team All-Greater San Antonio selection at both receiver and punter. He was listed among Texas’ Top 100 by the “San Antonio Express-News” and was an honorable mention all-state pick. Quiroga caught 51 passes for 1,061 yards and 18 touchdowns as a senior and also scored two rushing touchdowns and three on punt returns. In addition, he threw for a pair of touchdowns. A member of the Holmes track & field team, he also ran the anchor leg on the 1,600-meter relay team that captured the Class 5A state championship in 1999. HOUSTON, TEXAS (March 8, 2009) After a lengthy break from competition, Rice opens play Monday at its third tournament of the spring as the Owls take part in the Louisiana Classics hosted by the University of Louisiana-Lafayette. The tournament will be played at Oakbourne Country Club (Par 72, 7141 yards) in Lafayette, La., and is slated for 36 holes on Monday with the final 18 holes set for Tuesday. Play will begin with an 8 a.m. shotgun start each day. The 15-team tournament field includes Conference USA rivals Memphis and SMU. The Owls last competed Feb. 16-17 at the Rice Intercollegiate. 'We are very excited to get going again after a three-week break from competition," said Rice coach Drew Scott. "This next stretch of two tournaments in a row will challenge us, giving us opportunities to play against some strong teams. Having spring break this past week was a great benefit for the entire team. We were able to have more flexibility with our scheduling, freeing up more practice time." The Louisiana Classics is part of a busy week for the Rice team. The Owls compete Friday and Saturday at the Border Olympics in Laredo. In mid-February the Owls placed second at the Rice Intercollegiate and had three players post Top-15 finishes. Christopher Brown was the tournament runner-up, finishing with a three-under 213 score. Robert Burrow tied for ninth while Kyle Kelley's third-round 69 moved him into a tie for 13th. All three players will compete for the Owls this week. Rounding out the Rice team will be sophomores Tim Pawul and Michael Whitehead. 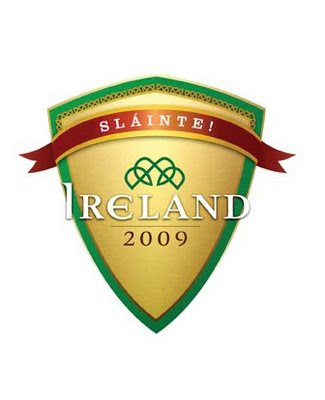 The tournament will be played March 5-7 and will again field strong teams in 2010. The host Astros announced that Big 12 schools Missouri, Texas, and Texas Tech, along with Mountain West Conference powerhouse TCU will join annual participants Houston and Rice in the 10th annual event at Minute Maid Park. The Houston College Classic has been a great asset to the local sports scene with many fans turning out to get an early fix to their baseball addiction and to watch top caliber college baseball from the cozy confines of Minute Maid Park. HUNTSVILLE, TEXAS (March 7, 2009) Despite a combined 46 points by Brandon Bush and Brent Benson, the Texas State men’s basketball team could not overcome a 16-point halftime deficit and fell at Sam Houston State 92-82. Sam Houston State used a pair of decisive runs in the final 13 minutes of the opening period to take a commanding 49-33 lead into halftime. After the two teams fought back and forth in the first seven minutes of the game, the Bearkats used a 15-2 run to take a 31-19 lead. After Texas State climbed back to within five points, the Bearkats answered with another 16-2 run to open up a 47-28 lead. The Bobcats scored five straight points with John Rybak nailing a three-point shot and Benson adding a lay-up before Sam Houston’s Barkley Faulkner closed the opening period with a lay-up to make the halftime score 49-33. Texas State made a couple of comeback bids in the second half as Corey Jefferson drove for a lay-up and nailed a three-pointer from the left wing to pull Texas State back to within 11, 49-38. After Bush scored on another driving lay-up to make the score 53-42, Sam Houston’s Preston Brown scored six straight points to push the Bearkats’ lead back to 61-42. Sam Houston State held a 68-47 lead with 12:46 left to play before Texas State used a 14-4 run of its own to climb back into contention. Roshun Jackson and Benson began the comeback bid as they combined to make four straight free throws. After Sam Houston’s Lance Pevehouse made a couple of free throws for the Bearkats, Jefferson hit Jackson for a three-point shot from the right corner. Bush drove the lane for an up-and-under lay-up and Jackson scored another lay-up following a turnover by the Bearkats. After Faulkner made two free throws, Dylan Moseley capped the rally with a three-point shot from the top of the key to make the score 70-61 with 8:40 left to play. Unfortunately, the Bobcats could not get any closer than eight points the rest of the way as Sam Houston State made 13 of their 14 free throws and Pevehouse added five points on a three-point basket and lay-up to help keep Texas State at bay. Bush led the Bobcats with 24 points, while Benson added 21; Jackson finished with a career-best 11 points and Jefferson added 10. The loss drops Texas State to 14-15 overall and the Bobcats finish the regular season with a 7-9 Southland Conference record. They will play in next week’s 2009 State Farm Southland Conference Tournament that begins on Thursday, Mar. 12. Bobcat fans can purchase tickets for the tournament through the Texas State Ticket Office by calling (512) 245-2114. Falkner made 15 of his 19 free throws in the game and led Sam Houston State with 21 points and a game-high 13 rebounds. Corey Allmond, Josten Crow and Pevehouse finished with 17 points each for the Bearkats, who finished the regular season with an 18-11 overall record and 12-4 mark against SLC teams. HOUSTON, TEXAS (March 6, 2009) Rice University senior forward Aleks Perka has been named to the 2009 Conference USA Men’s Basketball All-Academic Team. Three of the five members of the all-academic team will be in action Saturday afternoon at Tudor Fieldhouse as Rice plays host to Tulsa. Golden Hurricane senior Sam Mitchell and red-shirt freshman Steven Idlet were also named to the team. Tip-off for the Tulsa/Rice game is 3 p.m.
Rounding out the squad are Houston’s Sean Coleman and Adam Williams of Marshall. As a senior, Perka’s season statistics more than doubled his previous career scoring and rebounding averages. A sports management major with a 3.09 grade point average, Perka is averaging 6.7 points and 4.5 rebounds per game this season. Earlier this year, Perka posted a career-high 21 points to go along with 11 rebounds in the Owls’ win over East Carolina. That performance came during a week in which he averaged 18 points and made 73.9 percent of his shots from the field. Last summer, Perka served as the marketing intern at Sam Houston Race Park in Houston where his duties included gathering information about the visitors to the facility’s horse track and concert venue. All five student-athletes will be in action with their respective teams at the 2009 Conference USA Men’s Basketball Championship, March 11-14 at FedEx Forum in Memphis, Tenn.
HOUSTON, TEXAS (March 5, 2009) University of Houston senior swimmer Sasha Schwendenwein qualified for the NCAA Swimming and Diving Championships in three events, the NCAA announced on Wednesday. The Randburg, South Africa native becomes the first Cougar swimmer to compete in the Championships since Majia Airas and Linda Pesek both competed in the 1989 NCAA Championships. It also marks the ninth consecutive year that at least one Houston swimmer or diver has qualified for the Championships. Schwendenwein will compete in the 500-yard freestyle on March 19, ranking 32nd in the event. She will continue on March 20 in the 200-yard freestyle, where she ranked 22nd and will conclude the meet on March 21 swimming the 200-yard butterfly, with a ranking of 25th. The NCAA Championships will take place on March 19-21 in College Station, Texas. The diving team will compete in the NCAA Zone Diving Meet on March 13-15 in Columbia, Mo. The meet will determine the qualifiers for the NCAA Championships. IRVING, TEXAS (March 4, 2009) After leading UTEP to an 18-5 record and 11-5 mark in conference play, junior guard Jareica Hughes received her second consecutive Conference USA Player of the Year award as announced by the conference office Wednesday. Hughes becomes just the third player in league history to win back-to-back Player of the Year accolades. Chandi Jones (2002-04) of Houston remains the only three-time honoree, while Memphis' Tamika Whitmore won consecutive awards in 1998 and 1999. The league also handed out additional hardware as Tulane's Indira Kaljo was voted C-USA Newcomer of the Year and Hughes' teammate Dietra Caldwell was selected as the league's Freshman of the Year. Sophomore G/F Tanesha Washington of Southern Miss came off the bench to win the league's Sixth Player of the Year award, while Brittany Gilliam of regular season champion SMU pocketed the 2009 C-USA Defensive Player of the Year honor. In just her second season as head coach at UCF, Joi Williams captured Coach of the Year honor. Hughes enters this week's championships as the leader of a Miner offense that ranks fourth in the nation in assist-to-turnover ratio (1.18). The junior guard ranks third in the league in assists and 10th in scoring while also scoring double figures in 15 C-USA tilts. Kaljo, who has been a big impact on the Green Wave after transferring in from Ventura College, averages 9.2 points per game and ranks third in C-USA in 3-pointers made (2.07). The Sherman Oaks, Calif., native also ranks third in C-USA in 3-point percentage (.428) and owns the top single-season mark in school history in 3-point percentage. Caldwell, a 5-8 guard, has proven her strengths from behind the arc. She leads all freshman in 3-point field goal percentage (.423) and treys per game (2.25). The Missouri City, Texas, native also set a UTEP freshman record and the third-most triples in school history with (63) and is on track to become the fourth Miner freshman to surpass 300 points in a single-season. Washington has provided strong play from the bench for Southern Miss as she has averages 7.7 points per game, fourth-best on the team, and sports a solid 3-point field goal percentage of .456. The sophomore guard has played in 29 games for the Lady Eagles, starting three. In back-to-back seasons, SMU has claimed the C-USA Defensive Player of the Year. Gilliam is this year's winner, while former teammate Sharee Shepherd won the award in 2008. The Tyler, Texas, native has strong figures across the board as she ranks second in the league in steals, pocketing 2.45 per game, seventh in assists, dishing out 4.01 per game and ninth in scoring with 14.3 points per game. The 5-11 junior forward also ranks 11th in C-USA for most rebounds per game, hauling in 6.6 per contest. Williams took the Knights from a 12th-place finish in 2008 to a tie for second in 2009. She has the fourth-youngest team in the nation with 12 freshmen and sophomores. The team finished with 11 conference wins, the combined number of C-USA wins the program had in its first three seasons in the league. UCF closed out the 2009 season with its eighth-straight home win, marking the longest in program history since the 2004 team won 10 in a row. UCF has also picked up a league-best six C-USA weekly awards this season (five Player of the Week and one Rookie of the Week selection). The opening round of the 2009 C-USA Women's Basketball Championship will begin on Thursday, March 5, at Fogelman Arena in New Orleans, La. East Carolina, Marshall, Memphis, Rice, Tulane, Tulsa, UAB and UCF are competing in the opening round on Thursday, March 5. SMU, Houston, Southern Miss and UTEP all received first-round byes and will open tournament play on Friday, March 6. Tanesha Washington, G/F, Southern Miss, 6-1, So., Clarksdale, Miss./Coahoma Co.
HOUSTON, TEXAS (March 3, 2009) Rice University women's basketball player Tara Watts, from Surrey, British Columbia, has been selected to the five-member 2009 Conference USA All-Academic Team for the second consecutive time. The junior guard owns a 3.42 GPA with a double-major in psychology and pre-medicine. She leads Rice in three-pointers made with 38. The all-academic team consists of student-athletes who have earned a 3.2 cumulative grade point average or better and are a starter or key reserve on the basketball team. Rice begins post-season action on Thursday, March 5 when it plays UCF 5 at the Conference USA Championship in New Orleans, La. Tip-off is at 2:30 p.m. at Tulane's Fogelman Arena. HOUSTON, TEXAS (March 2, 2009) The Houston Dynamo and the Quickfoot Tournament Series announced a partnership Monday that will bring the small-sided tournament back to Houston on Saturday, April 18, at Bear Creek Park. "We are so excited to partner with the Houston Dynamo in bringing Quickfoot Tournament Series back to the Houston Area," said Quickfoot owner Sandra Taylor. The Quickfoot tournament is for children between the ages of 6 and 14. There will be two formats for the tournament: participants aged 6-10 will play three players to a side, while ages 11-14 will play four players to a side. Winners in each age group will advance to Quickfoot's national tournament, to be held in Dallas. The registration package will include one ticket per player to the Houston Dynamo's game on Sunday, April 19, against the Colorado Rapids at 2 p.m. Registration is ongoing and runs through April 8. For more details, log on to www.Quickfoot.com. "The Houston Dynamo is excited to be partnering up with Quickfoot for this small-sided tournament," Senior Account Executive Joel Negron said. "We have been exploring having a tournament like this for a while, and we finally made it a reality we feel young players and their families will enjoy!" CONWAY, ARKANSAS (March 1, 2009) The Texas State women’s tennis team won a Southland Conference tennis match 7-0 at Central Arkansas Sunday as the Bobcats won all six singles matches and two of the three doubles matches. The victory improves Texas State’s overall record to 4-3 and evened the Bobcats’ Southland Conference mark at 1-1. Texas State returns home to play host to Lamar on March 7 and McNeese State on March 8. Both matches begin at 10:00 a.m.